I abolutely love my slice! This is the best safety cutter I've used so far. 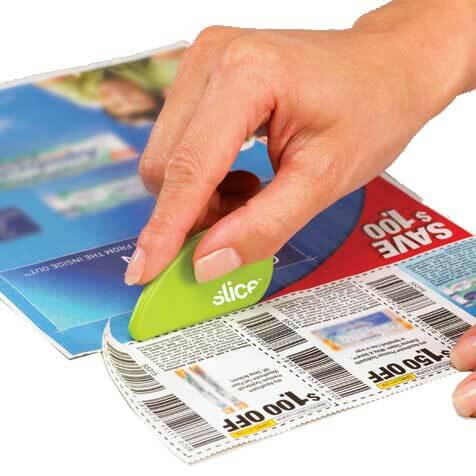 I am never worried that my kids will accidentally cut themselves if it is left within their reach, and it is so easy to use! It fits comfortably in my hand and snug in my grip. 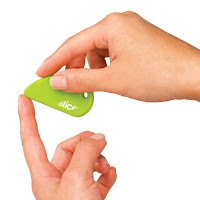 I have used it to open those hard plastic cases from the store that I usually have to struggle with scissors to open - it slices easy, clean and with only a little effort. 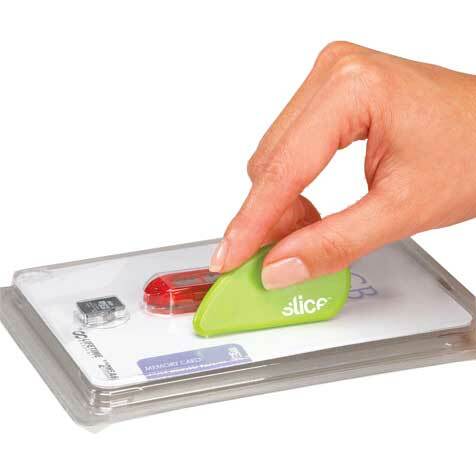 My hands never hurt from using the slice, like they do with the use of scissors occasionally. It is gentle enough - depending on how much pressure I put on it- to cut coupons and paper, yet strong enough to cut through cardboard and plastic containers. This gadget is very useful for the children to avoid the finger cut while cutting the paper.